NEW YORK — Hall of Fame Coach Pat Riley is the recipient of the Association’s “Chuck Daly Lifetime Achievement Award” for 2012, the National Basketball Coaches Association announced Tuesday. 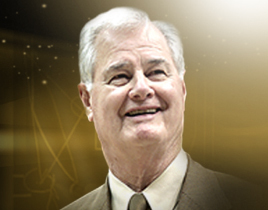 Riley, enshrined in the Naismith Memorial Basketball Hall of Fame in 2008, his first year of eligibility, is widely recognized as one of the most successful coaches and team executives in NBA history. He has compiled a 1,210-694 (.636) NBA coaching record, guiding the Los Angeles Lakers, New York Knicks and Miami HEAT during a 24-year head-coaching career that is one of the most impressive in all of sports. Riley’s resume is replete with many milestones during an NBA career that spans 43 years as a player, team president, head coach, assistant coach and broadcaster, and he has been part of seven NBA championships. His five NBA championships as a head coach tie him with John Kundla for the third highest total in NBA history. In 1996-97, as the NBA celebrated its 50th Anniversary, Riley was named one of the Top 10 Coaches of All-Time by a panel of media who regularly covered the league. He has also been honored as the NBA Coach of the Year on three occasions, the only coach in NBA history to receive the award with three different teams. His 21 total post-season appearances as a head coach are tops in league history, two more than Hall of Fame coach Red Auerbach, and his string of 19 consecutive post-season appearances as a head coach (1982-2001) set a league record for consecutive post-season appearances. Riley has also served as a head coach in nine NBA All-Star games. Riley has had a history of sharing his deep knowledge of the game with his assistants. Three of his assistant coaches–Jeff Van Gundy, Erik Spoelstra, and Kurt Rambis–have gone on to head coaching positions in the league. Along with his wife, Chris, Riley has been involved with numerous charity and community service projects throughout his career. They founded The Miami HEAT Charitable Fund in 1997 which has raised over $15 million for the South Florida community and whose primary beneficiaries include Jackson Memorial Foundation’s Guardian Angels which benefits Jackson’s Center for Maternity and Babies at Holtz Children’s Hospital; SafeSpace, which is a domestic violence shelter for women and their children; the Miami Coalition for a Safe and Drug-Free Community; and most recently created Home Strong, an on-going program that salutes and honors the courageous men and women in uniform for their dedication to the United States Armed Forces. They are also involved in the Pediatric AIDS Foundation’s Kids for Kids organization, which they started in 1992 in New York, and the YMCA in Los Angeles, New York, and Miami. 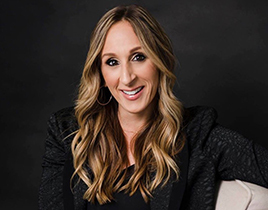 As a result of his efforts, Riley has received numerous awards, including the Miami Project Sports Legend Award in 1992, Boys and Girls Clubs Miami Person of the Year Award in 1998, and was honored by the YMCA Miami in 1998. The National Basketball Coaches Association Chuck Daly Lifetime Achievement Award commemorates the memory of Hall of Famer Chuck Daly, who over an outstanding NBA coaching career set a standard of integrity, competitive excellence and tireless promotion of NBA basketball. This year’s award recognizes the extraordinary contributions Pat Riley has made to the sport throughout his NBA career through building a body of work that has had a positive and global impact on the NBA coaching profession. Riley has embodied the high standards and leadership philosophies that Coach Daly brought to the game. Prior winners are Lenny Wilkens, 2011; Tex Winter and Jack Ramsay, 2010; and Tommy Heinsohn, 2009. The National Basketball Coaches Association Chuck Daly Lifetime Achievement Award winner is selected by the Award Selection Committee, comprised of a cross section of NBA “insiders”, including Bernie Bickerstaff, Billy Cunningham, Donnie Walsh, Gregg Popovich, Lenny Wilkens, Mike Heisley, Phil Jackson, and Rick Carlisle.